Our philosophy at the Clinic is: "Skin Viewed Seriously." We diagnose and treat every form of disease of the skin, hair, and nails including sexually transmitted diseases. Although we specialize in clinical dermatology, Dr. Bell is also Board-Certified in pathology. Dr. Bell's broader training of many years helps him to better understand your other medical problems, especially as they relate to your skin problems. Dermatopathology is a very important part of this practice and your skin pathology will be performed confidentially in the office. You will be able to receive your test results in a prompt and timely manner. Skin surgery is an equally important aspect of our practice and all but the more complicated skin surgeries can be completed in our surgical suite. I was born in Canada and lived there until moving to Nashville in 1996 with my wife and four children. I attended medical school at the University of Calgary, completed my dermatology residency at McGill University in Montreal and then my pathology residency at the University of Toronto. 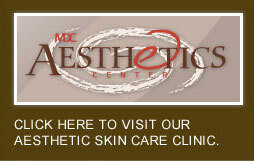 I am board-certified by the American Board of Dermatology and the American Board of Pathology. After practicing in Nashville for three years, I moved my practice to Murfreesboro given the need for dermatology care there and the surrounding counties. Currently I serve as the Vice-Chairman of the Tennessee Chapter of the Dermatology Foundation. I look forward to providing your medical dermatology care. Jerry “Jay” Smith, M.D. is a Board-Certified Dermatologist and Fellowship trained Mohs surgeon specializing in the treatment of skin cancer and surgical reconstruction. Dr. Smith received his undergraduate degree from Lipscomb University and earned his medical degree from the University of Tennessee where he was inducted into the Alpha Omega Alpha Honor Society as well as the Gold Humanism Honor Society. After medical school, Dr. Smith completed his Residency in Dermatology at Southern Illinois University where he served as Chief Resident. After working as a general dermatologist in the Nashville area for two years, Dr. Smith decided his true passion was focusing on the treatment of skin cancer. 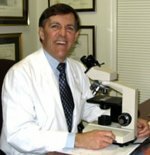 He then completed a Mohs Micrographic Surgery and Cutaneous Oncology Fellowship at the University of Texas Southwestern Medical Center focusing on the removal of skin cancer and surgical reconstruction. Dr. Smith is a Fellow of the American Academy of Dermatology, and member of the American Society of Dermatological Surgery and American College of Mohs Surgery. A native of Linden, Tennessee. He currently resides in Franklin with his wife and son. Away from work he enjoys playing golf, hunting and watching college sports. Jay will be offering Mohs surgery beginning July 2017. Growing up in Middle Tennessee, I always knew I wanted to work in medicine. I worked in banking for more than 10 years, during which time I began attending school at Motlow College and Middle Tennessee State University for an undergraduate degree in Microbiology. After obtaining my Bachelor's degree, I was then accepted to Bethel University in Paris, Tennessee for my Masters of Science in Physician Assistant Studies. Upon Board certification from NCCPA, I accepted a position in dermatology in southern Alabama. While I loved being closer to the beach, I am happy to have the opportunity to return home and practice in the field I love! I am a current member of the American Association of Physician Assistants and reside in Woodbury with my husband and two dogs. Our spare time is spent traveling, attending Major League baseball games and kayaking. Kristie Bucher joined MDC in 2011. She completed her undergraduate studies at University of Alabama Birmingham and graduated from Trevecca Nazarene University with her Physician Assistant degree in 1994. She was board certified by the National Commission on Certification of Physician Assistants in 1994 and recertified in 2000 and 2007. She has held her Physician Assistant licensure in the state of Tennessee since 1994. Prior to joining MDC, Kristie, specialized in women's health in Reproductive Endocrinology Infertility, Urogynecology and general Obstetrics and Gynecology. She is a Fellow Member of the American Academy of Physician Assistants and the Tennessee Association of Physician Assistants. She was granted membership in the American Society of Reproductive Medicine as well as the American Society of Colposcopy Cervical Pathology. Kristie has participated in various professional activities, which included participating as a voting member on the TennCare Pharmacy and Therapeutics Committee. She also has been an instructor at Trevecca Nazarene University, preceptor and instructor to fourth year medical students at Meharry Medical College and Nurse Practitioner students at University of Alabama Huntsville. Born in New York state, I moved to Murfreesboro as a young child and graduated from Oakland High School in Murfreesboro. I started my career as a dermatology nurse at Vanderbilt Medical Center. I later obtained my Masters of Nursing fromTennessee State University. I reside in Murfreesboro with my husband and family. Once I began working in dermatology, I knew I wanted to continue in this field. Dermatology is challenging and an interesting blend of clinical care and aesthetic services with so many new medications and treatments for skin conditions being approved on a nearly constant basis, it is essential that medical professionals continually grow their knowledge as to offer the latest technology and care to patients. A native of Alabama, my family moved to Middle Tennessee while I was a junior in high school. I graduated from Cascade High School in Wartrace and then went on to pursue a degree in laboratory science at Columbia State College. While working in a physician's office in the Lincoln County area I decided to attend nursing school at the University of Alabama in Huntsville where I obtained my degree in 2005. I worked in ICU at Southern Tennessee Medical Center in Winchester while I continued my education and obtained my Master's in Nursing, with honors, in December 2007. I have been working as a Nurse Practitioner since 2008 in the Coffee and Franklin County areas prior to starting with Murfreesboro Dermatology Clinic in April 2017. I am certified through the American Academy of Nurse Practitioners. My family and I live in Prairie Plains. My two children attend Coffee County schools and keep me active with their school and sports activities. In my spare time, I teach a group fitness class at a local gym in Decherd. Emma Pierce was raised in Chattanooga and attended East Tennessee State University for her undergraduate education in nursing. 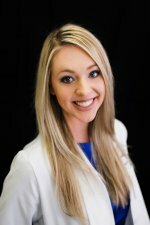 After moving to Gainesville, Florida, she began her graduate studies at the University of Florida where she completed her Doctor of Nursing Practice in December 2016. She was board certified by the American Academy of Nurse Practitioners in February 2017. Emma spent her nursing years in the intensive care setting but knew she wanted to begin a career in dermatology from day one of her advanced practice studies. She is a member of the National Academy of Dermatology Nurse Practitioners as well as the American Academy of Nurse Practitioners. Her mission is to provide evidence-based and compassionate care to every person she treats. In her spare time Emma enjoys traveling and spending quality time with her husband and two labradoodles, Lola and Rufus. She is thrilled to be back in Tennessee to service Murfreesboro and the surrounding areas. Danielle is originally from Peachtree City, Georgia but currently resides in Nashville. Danielle received her Bachelor of Science in Cellular and Molecular Microbiology with double minors in Piano Performance and Psychology from Auburn University. Before attending school to become a Physician Assistant, Danielle worked as a microbiologist specializing in cancer research as well as an EMT. Danielle completed her Physician Assistant degree at South University in Savannah, Georgia. 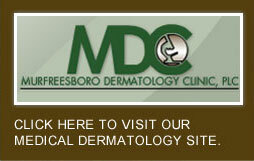 Prior to working at Murfreesboro Dermatology Danielle worked in an endocrinology practice. Danielle is a member of the American Academy of Physician Assistants and the American Microbiology Society. Her hobbies include working at her church, volunteering with Big Sister programs, teaching piano, and hiking. Danielle is the Intellectual Development chapter advisor for her sorority at Vanderbilt University. She serves on the Advisory Committee at Lipscomb University for their Physician Assistant program. 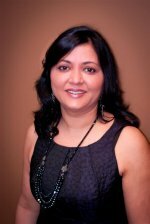 I was born and raised in India and came to the United States to pursue a degree in Microbiology in 1991. I graduated from California State Polytechnic University with a Bachelor of Science degree in Microbiology in 1995. I was employed at an environmental engineering company for 5 years as a microbiologist before applying for a Physician Assistant program in 2001. I was accepted into the Master's program at Western University of Health Sciences in Los Angeles and graduated from there in 2003. I started work part-time in E.R. and Urgent Care initially and then I branched off to work part-time with a plastic surgeon where I became involved with cosmetic and laser procedures. I moved to Middle Tennessee in 2006 with my husband and two children to join Dr. Bell in further developing Cosmetic Dermatology within the practice. I am a Fellow member of the Society of Dermatology Physician Assistants (SDPA), American Society for Laser MEdicine & Surgery (ASLMS), and the American Academy of Physician Assistants (AAPA). I look forward to providing the highest level of cosmetic procedures in collaboration with Dr. Bell and the Aesthetics Center team. My goal has always been to be honest with my clients while making recommendations for their skincare needs. I was born and raised in Middle Tennessee. I attended Middle Tennessee State University, where I graduated with my Bachelor of Nursing in 2009. I proceeded to work in the Emergency Department, NICU, and Nursery as an RN at St. Thomas Rutherford Hospital while working on my Master's Degree. I graduated with a Masters of Science from the University of Alabama at Hunstville in 2014. I worked in an urgent care clinic before joining Murfreesboro Dermatology Clinic in 2016. I reside in Manchester with my husband and five children.